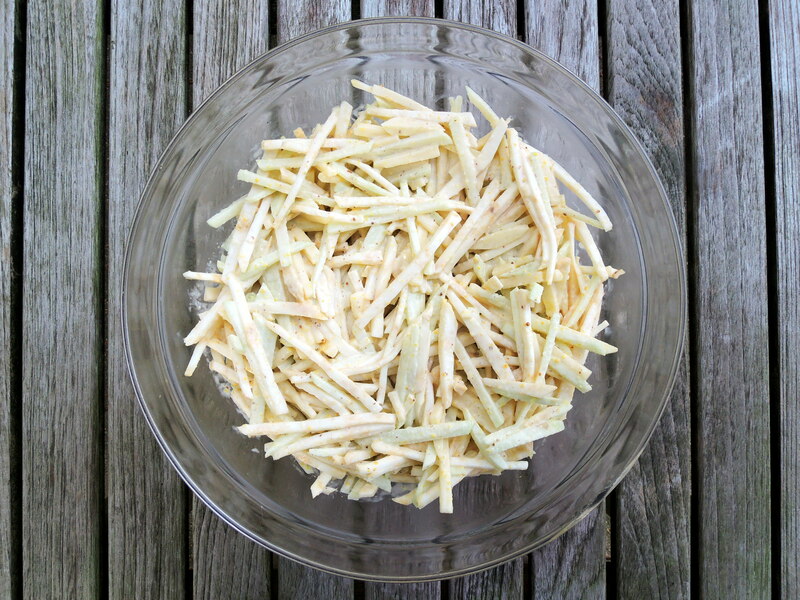 Cut cheese into matchsticks and put in a large bowl. 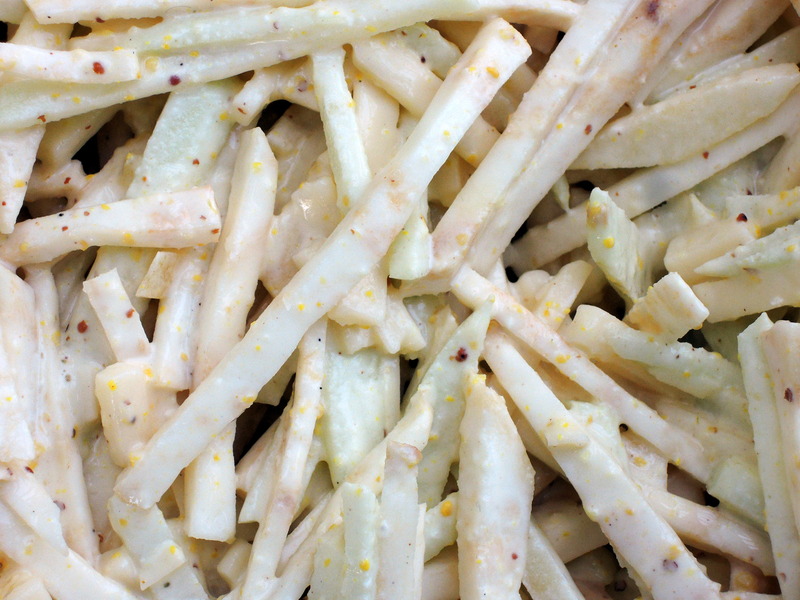 Peel celery root and apples and cut into matchsticks. Add celery root, apples and lemon juice to cheese, tossing gently. In a small bowl stir together remaining ingredients (except horseradish) and add to slaw, tossing gently. May be made 1 day ahead and chilled, covered. Add horseradish to taste just before serving.